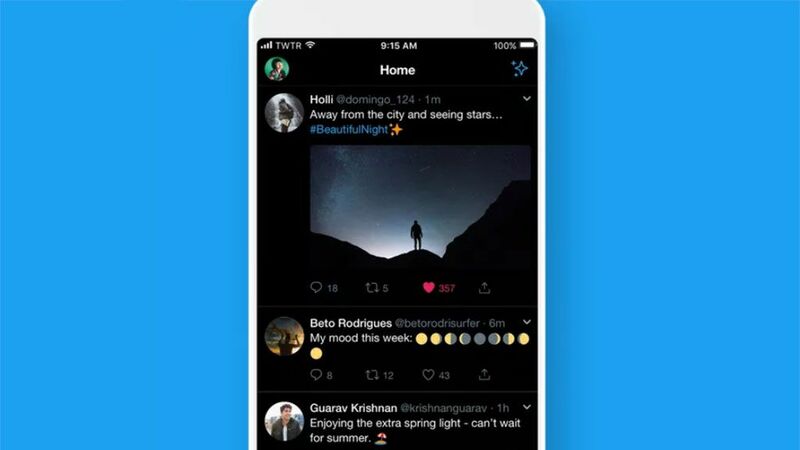 The dark shelf covering our smart devices continues as Twitter announces a new "light out" update for the app's existing dark state, giving a true black background to your feed instead of a dark blue one – perfect for OLED monitors. The official Twitter account has also changed its profile picture, header photo and bio to reflect its new all-black option. The update now rolls out for iOS devices, but non-iPhone / iPad users will have to wait a little longer – a Twitter rep has told Engadget that the new light setting will roll out on Android and the web "soon". To apply light settings to your iOS Twitter app, simply open the & # 39; settings and privacy & # 39; menu, tap & # 39; display and sound & # 39 ;, dark & ​​# 39; mode & # 39; switch to & # 39; at & # 39; (if not already) and you should see a new & # 39; light out & # 39; setting appears in the dark state submenu. The old dark state is still available, even though it is now labeled "dim." Considering OLED's unique ability to illuminate only the pixels that are visible, the new light output mode must result in extra battery life for the iPhone X and iPhone XS devices. It is also expected to reduce eye strain.